We’re hard at work, and we wanted to let you know. … 6,112 hours towards moving Outer Coast to reality. We’re proud of this number. And of course, every hour has been matched by you and other friends and supporters with additional time, financial generosity, expertise, introductions, and encouragement. Thank you, all. We think it speaks to the magnitude of our commitment and the ambition of this idea. These inputs are creating progress. 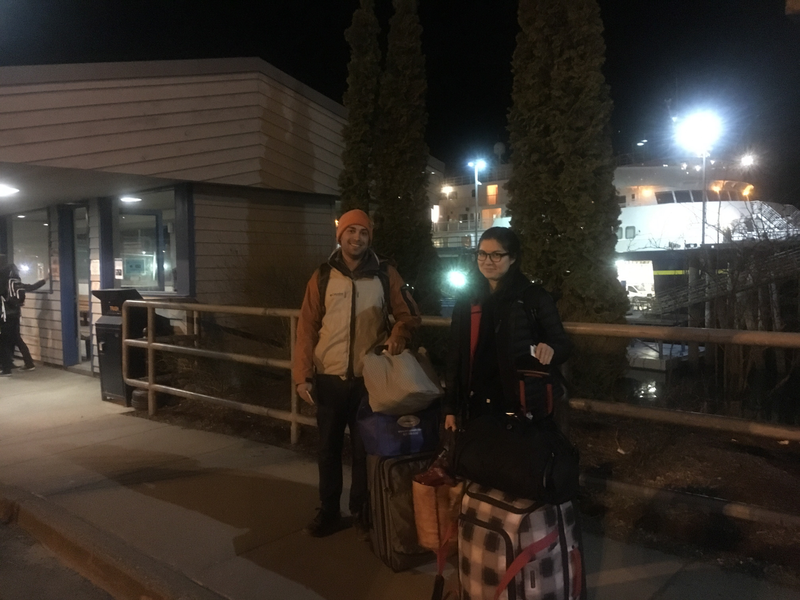 Terrell and Cecilia getting ready to board the M/V Malaspina (at 2:14 a.m.) to head back to Sitka from Juneau. They were in Juneau to work with Jonathan in person and meet up with key Outer Coast collaborators. Building on last year’s successful “friends and family round” (thank you! ), we’re preparing for a big development campaign later this year (stay tuned). We are inches away from completing the incorporation process and submitting our paperwork to the IRS to secure nonprofit status. This process would not have been possible without our two wonderful pro-bono lawyers, one in Alaska and one in New York. We’re starting to have conversations about our academic lead position. Know someone passionate about the inherent ability of education, and specifically higher education, to change lives and who is motivated to help craft a model that achieves this potential? Send her or him our way. We’re talking with several graphic designers to create an Outer Coast logo that evokes the spirit of the project. 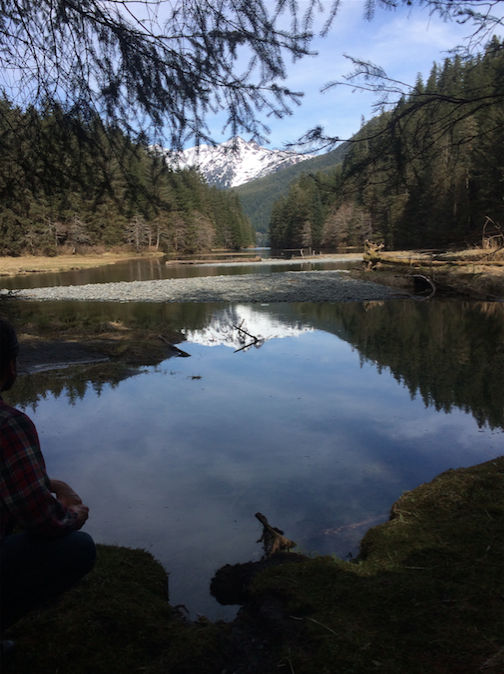 As previously noted, Bryden swooped through Alaska — specifically, Sitka, Juneau, and Anchorage — for a flurry of Outer Coast-specific meetings. We’re actively planning a 2018 summer seminar for high school students, to pilot our model and to serve as a foundation from which to build the college. Cecilia has been hard at work researching tuition and financial aid — and how we can make Outer Coast accessible to ALL students in the fairest, simplest possible way. Give it a look. Let us know what you think. Oh, and we have a “why” statement. As in, why do this? 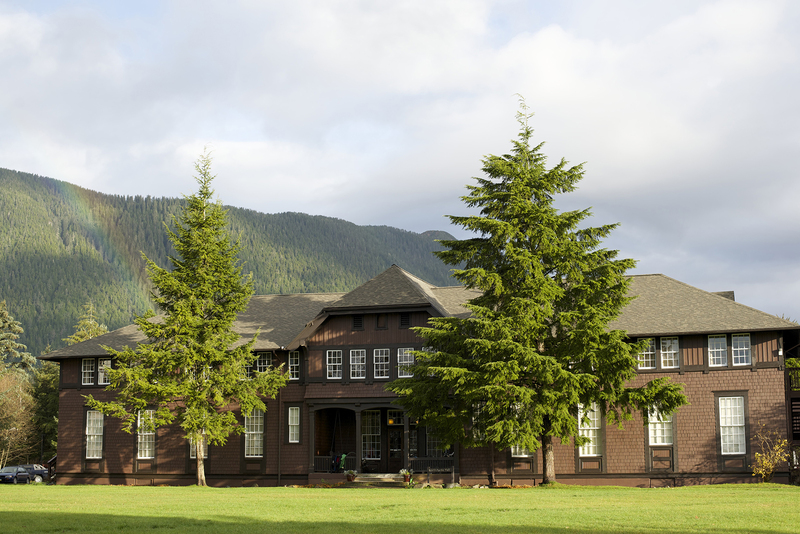 Why invest 6,112 hours of life and energy towards creating a 40-student, two-year self-governed liberal arts college in Sitka, Alaska that aspires to be a center of excellence in teaching and learning and send its students into the world to create virtuous change? The drafting process took nearly six months and cannibalized more drafts and murdered more of our darlings than we dare count. But we feel our final draft speaks with clarity to our our vision, values, and purpose. The “why” statement will also figure prominently in our project prospectus — a more hefty document under active development. So we’re working. We’re working hard. We’re excited to share the progress and build on your contributions as we forge ahead.